Jeff Keyes is a retired United States Magistrate Judge in the District of Minnesota, a position he held from his appointment to the bench in 2008 until his retirement in 2016. As a magistrate judge, Judge Keyes handled the wide range of civil and criminal matters in federal court. 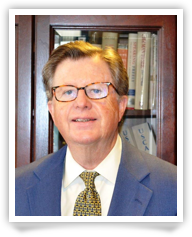 In addition to handling all of the pretrial management and trials in civil cases, Judge Keyes served as mediator in hundreds of cases on the federal court docket through the court settlement process. These cases included the full range of matters in federal court including, for example, all types of complex business disputes, and cases involving intellectual property, employment, securities, antitrust, product liability, and class action litigation. Before joining the bench, Jeff was a shareholder in the law firm of Briggs and Morgan, P.A., for 22 years. He started his career in 1972, after graduating from the University of Michigan Law School, when he joined the Gray Plant Law Firm where he served as an associate, and then partner, until 1986. Throughout his 36 years in private practice, Jeff was a trial lawyer. His practice focused on commercial litigation, and he handled a wide variety of commercial cases, including antitrust, securities, franchising, insurance, employment, product liability, intellectual property and contract disputes. Jeff is a Fellow of the American College of Trial Lawyers and, while he was in practice, he was listed in The Best Lawyers In America in the specialties of Bet-the-Company Litigation and Commercial Litigation and was designated as a Top 40 business litigation “Super Lawyer” by Minnesota Law & Politics. In 2005 he was named a Minnesota Attorney of the Year by Minnesota Lawyer. Jeff had an active pro bono practice on behalf of disadvantaged clients including the representation of death row inmates and numerous immigration asylum applicants. He has written litigation, antitrust and franchise law articles which have been published in the Antitrust Law Journal, the Minnesota Business Journal, the International Franchise Association Legal Digest, and other publications. Judge Keyes also served as an adjunct professor of law at the University of Minnesota Law School and William Mitchell College of Law. He taught Civil Procedure, a Death Penalty Seminar, and a course on the Law and Justice of War.